Arcade is pleased to present two solo shows with new work by John Finneran concurrently in Brussels and London. 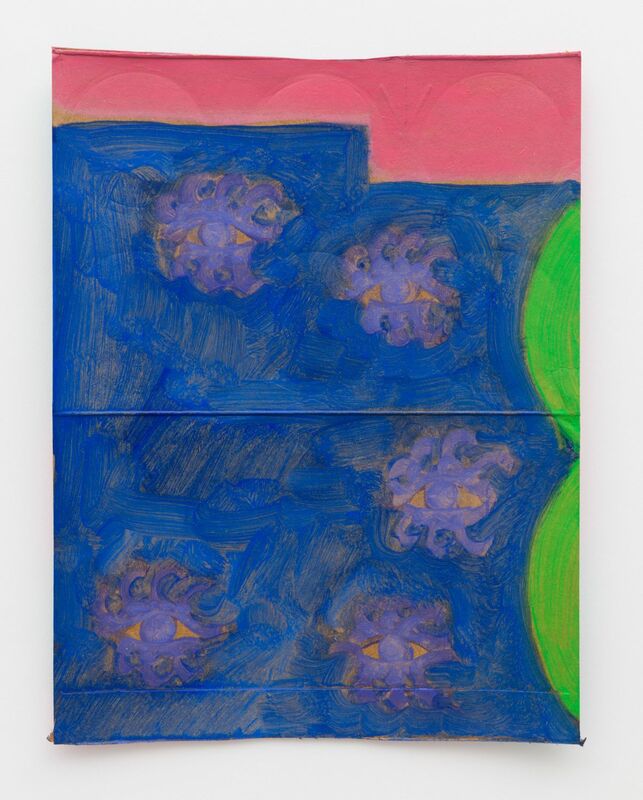 For his third and fourth solo show at Arcade in Brussels and in London, Finneran gathers new paintings that depict contemplation of his journeys. Four years ago Finneran moved to LA from NY. There was South Jersey and the walking from Brooklyn to Manhattan, there was Rivington Arms. Now there is New Mexico, Jim Morrison’s Tomb in France, Tucson, Big Bend National Park, the Rio Grande in Texas, the southern drive back to LA, these are Finneran’s new subjects for his paintings. Landscapes become places, where personal thoughts swirl and dance at the back of the mind and subsequently are transferred on the canvas. The abstraction is more “abstract”. The mood, still, is in the colours. The Green is new for Finneran, but, as already mentioned, it is never about landscape: the new colour rather joins the Blacks and Pinks, with their Purple tones, to express feelings. It is not a total rupture from before, but certainly a new beginning.